Karl Rahner died more than twenty years ago and his influence in the Church has been immense. He was heavily influential at Vatican II and his theological insights have been taken up not only in the past but also today in many seminaries wolrdwide. It is certainly a good time for a fresh evaluation of Karl Rahner’s thought. The Sacrament of the Future presents and analyses Rahner’s theology of the sacraments. The book indicates how Rahner makes a significant and helpful contribution to modern theology concerning the relationship between the sacramental and eschatological dimensions of the Church. Vass clearly points to how central the Church is for Rahner in relation to the sacraments. The first effect of the Eucharist for example is a more profound incorporation into the unity of the Body of Christ, that is, the Church. We also see emphasized the eschatological nature of the world, the sacraments, and especially the Church. Sacraments anticipate an eschatological fulfillment. With the event of the Incarnation we are living in the eschaton of Jesus Christ. In the event of the cross, the resurrection and the second coming there is inseparable unity in the glorified Christ, a unity anticipatedin our celebration of his presence in the Mass. We are in the world of the ‘already and the not yet’. These are points well made by Rahner and Vass and indeed have been taken up by the Church. Vass makes good critical points concerning Rahner’s concept of the Absolute future and Process Theology. There is also a good discussion concerning the relationship between present acts and the act of dying itself, and between time and eternal life. The book however raises serious issues in Rahner’s thought which are not dealt with adequately by Vass. One is the actual need for the sacraments. Concerning Rahner, Vass quotes a commentator thus: “He denies that these sacraments are in any way unique in causing grace, or that they are always more effective than other ‘merely sacramental activities’; something which is not strictly speaking a sacrament might in particular case ‘work’ better in actuallybringing grace to the individual than a sacrament does.” While Rahner himself would surely be a little more nuanced, the conclusion is that for Rahner the sacraments are just a manifestation of what is present in an already ‘engraced’ world. Baptism is just a manifestation of divine life living in the innermost heart. A person attends Mass not to reenact the bloody sacrifice of the Cross, but to allow something which is already alive in his heart to come out and proclaim itself. Rahner’s insistence that the sacraments are an “existential” need of man is unconvincing. Another notable comment is the following: “What makes him (Rahner) radical is that in trying to cope with these difficulties he is willing to rearrange radically many of his audience’s ordinary ways of thinking. So the fixed points of Catholicism remain fixed, but the overall vision which emerges from Rahner’s theology can be anything but familiar.” Vass admits that Rahner finds it difficult to summarise exactly what is explicit dogma binding for all Catholics and what is just theological opinion appearing perforce in the texts of the Magisterium. So the fixed points aren’t so fixed. 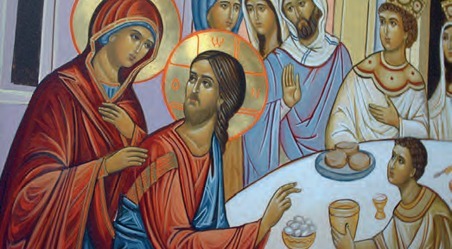 Indeed Vass himself considers the Eucharist as a cluster of symbols, some contradictory, or as he puts it, “versatile in its (their) significance”. So whether to give communion to non-Catholics or not dependson which symbolic meaning of the Mass you are using, and you get a different answer depending on the symbol you choose. The Catechism of the Catholic Church speaks of the separation of the soul from the body and the reuniting with the body on the day of resurrection (CCC 1005). Such an intermediate state is denied by both Rahner and Vass. According to Vass, Rahner gives no assurance to the immortality of the soul, and sees as feasible the possibility of bodily resurrection immediately after death. This clearly calls into question the creedal doctrine of the Resurrection of the Body. It is also inconsistent with the reality of the human body on earth, which clearly does not rise, and indeed with the bodily resurrection of Christ and the Assumption of Our Lady. More serious even than this is the lack of distinction between matter and mind. A lack of understanding of what is matter and what is spirit callsinto question the whole meaning of the Incarnation, and everything that flows from it, the Church, the sacraments, and the meaning of human life and the cosmos. At times it is as if the world of Pope John Paul II, and the new Catechism had never occurred. The following comments by Vass might have been seen as possible twenty or thirty years ago, but now seem so out of date. Original Sin is seen as a “dubious reality”. The difficulty we find in being good is unsatisfactorily called “a lack of personal integration”. He unfairly patronizes the humble believers who believe in Indulgences for the Holy Souls. And he undermines the Church’s view on the seriousness of mortal sin in the following comment: “Though the Church’s traditional distinction between mortal and venial sin is justifiable, it is in the concrete just as difficult to tell the one from the other as to assign real guilt to a person.” Vass uncritically accepts the Rahnerian notion of theanonymous Christian: “a slogan in contemporary society”. Numerous other theologians have not been so positive. A look at the Catechism of the Catholic Church will indicate how many of Rahner’s insights have not been taken up by the Church and indeed sit very uncomfortably with traditional Church teaching. One hopes in the future for a book which indicates this. Such a book will then be able truly to discern the helpful insights of Rahner which have contributed to a deeper understanding of the nature of the Church and the eschatological nature of our Catholic belief. Among the great Catholic figures of the 19th century, Archbishop Ullathorne seems to have been virtually ignored. Maybe one shouldn’t write one’s own autobiography. When Cardinal Heenan wrote ‘Not the Whole Truth’, a fellow bishop commented, “Not even half the truth”. The same could be said of Ullathorne. He tells of a thrilling life on the high seas and in the penal colonies. But the narrative stops at 1850, and he went on to rule his diocese for almost 40years. Rule, he did. Ullathorne, as Judith Champ points out was known as ‘Ego solus’, which we would translate as The Gang of One. He held an exalted view of the episcopacy which he regarded as privilege and burden in equal measure. His perspective was born out of his years in Australia as Vicar Apostolic and his period as parishpriest of Coventry. He went to Australia at the age of twenty-six only a year after his ordination. The contribution he made to the Church there has only recently been acknowledged - his work being overshadowed by the somewhat controversial figure of Bishop Polding who had been novice master at Downside. Judith Champ does not mention that when Ullathorne returned to give evidence about the conditions of the penal colonies, he brandished a set of irons worn by convicts, before the parliamentary committee. Ullathorne believed in being practical. Much of the book is devoted to Ullathorne’s dealings with the various congregations of religious sisters, in particular the Dominicans at Stone (where he is buried) and the Sisters of Mercy at Handsworth, but also his pained relationship with Cornelia Connelly. Champ brings out the affectionate side of Ullathorne which was concealed by his rough exterior. He would write to Lady Georgina Chatterton (a friend also of Newman), “When the love of God is supreme in us, then every other love partakes in His Divine Love, becomes exalted, purified and sanctified”. Ullathorne was certainly a rough diamond compared to Manning and Newman. He would openly recommend his own books “quite original in its mode of treatment” and make no bones about dismissing those who were not up to the job. He wasunabashed to refer to one of the Fathers of the Church as “’ilary, the ‘oly ‘ermit”, recalled one of the students at Olton. Fr John Morris would later comment that it would be a fate worse than death to have Ullathorne dropping his h’s in London as Archbishop of Westminster. What has not been realized is Ullathorne’s contribution to the Decree on Infallibility at Vatican I. Ullathorne had a great affection for Pius IX (they became bishop in the same year) but this was balanced by his view of the episcopacy. It was largely through his intervention that the formula ‘ex cathedra’ was inserted and he wanted ‘ex magisterio Ecclesiae’ to be added also, but failed to win through. Newman was correct when he said to Ullathorne, “You have battled for the Church in the world”. He saw the bishop as father and leader of his diocese in the same way that the pope was father and leader of the larger Church. He described his role as bishop in 1850 as “to guide and perfect the priesthood, to rule and sanctify the religious communities, to provide for the spiritual wants of thefaithful people, to bring coercion to sinners - light to those who stray in the ways of error, and to defend, uphold and advance the Church of God”. Ullathorne would launch into print on Catholic education, religious communities, drunkenness and the management of criminals. He was not afraid of controversy or putting peoples’ backs up. When it came to a choice between Manning and Ullathorne for Westminster, Palmerston thought that Manning would be “preferable to Ullathorne in every respect”. Ullathorne had a great grasp of the pastoral impact of the growing rationalism. He would write, “When anti-Christian doctrines become mingled with the civil courts, they become difused throughout society, they animate the Catholic press and work their way into the mind through a thousand influences”. His verdict on the Church of England was that she was very seedy and sinking fast,“the serious and really good membersof the old lady’s family are tending unconsciously to the Faith, whilethe naughty children are rushing intorationalism and infidelity”. Newman would phrase it differently but itwould amount to the same. Ullathornewould predecease the Cardinal byone year, friends to the last. This, the second book Donal Foley has written and published for Theotokos Books, is a timely and essential introduction to the Foyers of Charity. One of the vibrant and influential‘New Ecclesial Movements (whichDr Ian Ker in his Foreword sees ashaving great potential “both forevangelisation and for the renewalof the Church”), the Foyers were founded by the handicapped French mystic Marthe Robin in 1936. Today they are spreading strongly all over theworld, but not yet in the Anglophone parts. Consisting of communities of baptised persons around a priest, their apostolate is the training and formation of the laity by meansof five day silent retreats. 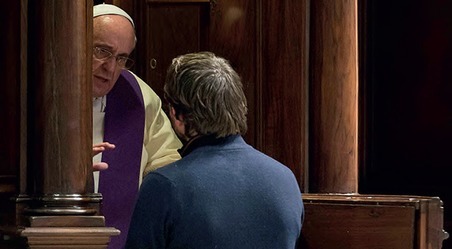 Nothingis more badly needed throughout the Church at this time, and more and more bishops – particularly in the Third World – are beginning to realise it, and ask for a Foyer in their dioceses.